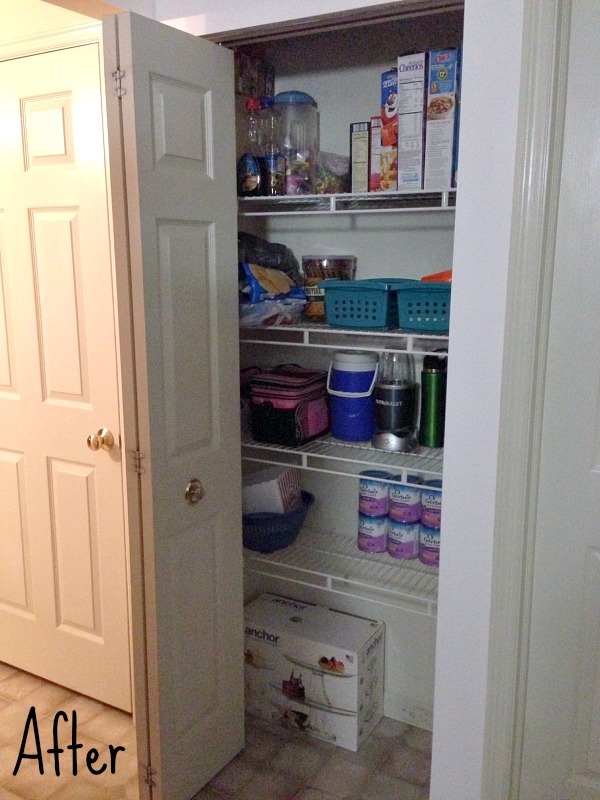 The other day I decided to organize my pantry for the umpteenth time. I find that if I don’t keep up with it, I have to tackle the craziness within a matter of weeks. In a perfect world my pantry would look amazing all the time, but the reality is that I’m a busy mom trying to juggle several things at once. A messy pantry is not the end of the world and if you ever find yourself stressing over things like this, just look at the blessings that surround you. The kids were shoving things that were practically empty and piling them on top of each other. My toddler was also pulling the things on the bottom shelf each time I opened the pantry door and placing them on the floor. It was frustrating to look for things in this craziness. Did I mention this was all within a few weeks’ time? Schedule a time that you know you’ll be able to work on this project without any interruptions. I find that even 15-20 minutes of time can make a huge difference. If it’s a larger project don’t feel the need to do it all in one day. Break it up into multiple days, so you don’t burn out during the process. You need to purge ruthlessly. If it’s expired, opened and not eaten, or practically empty, just pitch it. I find that when I don’t think too hard about tossing things out, I make progress a lot faster. I wound filling up a whole bag of trash within minutes when I tackled my pantry. 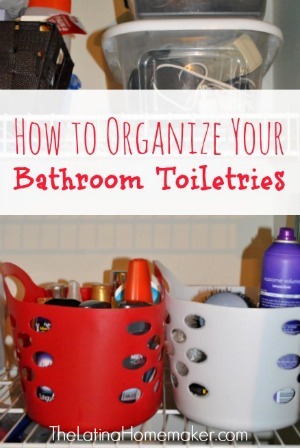 You’ll also need to do this routinely to maintain your pantry in decent shape. 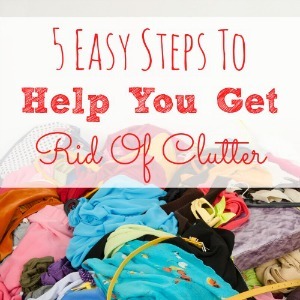 Once you get rid of what you don’t want, organize what’s left. Figure out what makes sense to you. If your kids are younger and need to access snacks, place those on a lower shelf. If you have things that are alike, group them together. I also recommend using inexpensive storage bins that can be found at the dollar store to contain small snacks and food items. 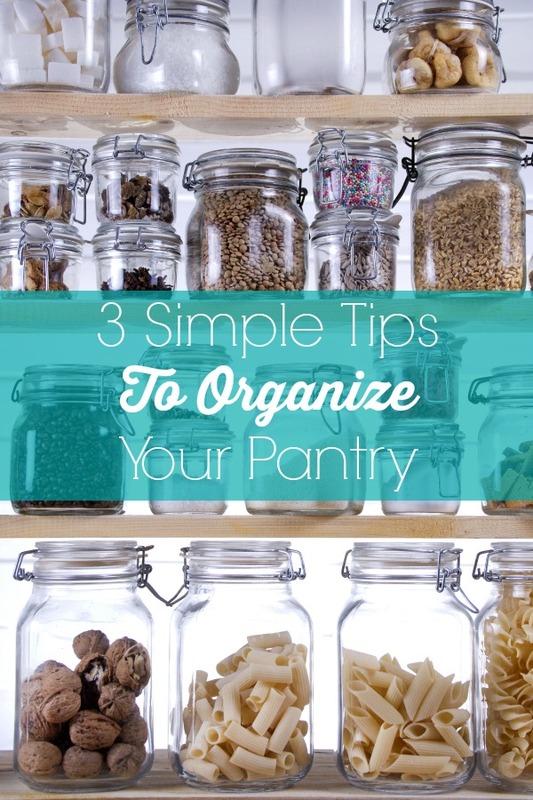 Do you keep your pantry fairly organized or do you struggle with it? I don’t know why, but mine needs constant maintenance or it gets bad quick. 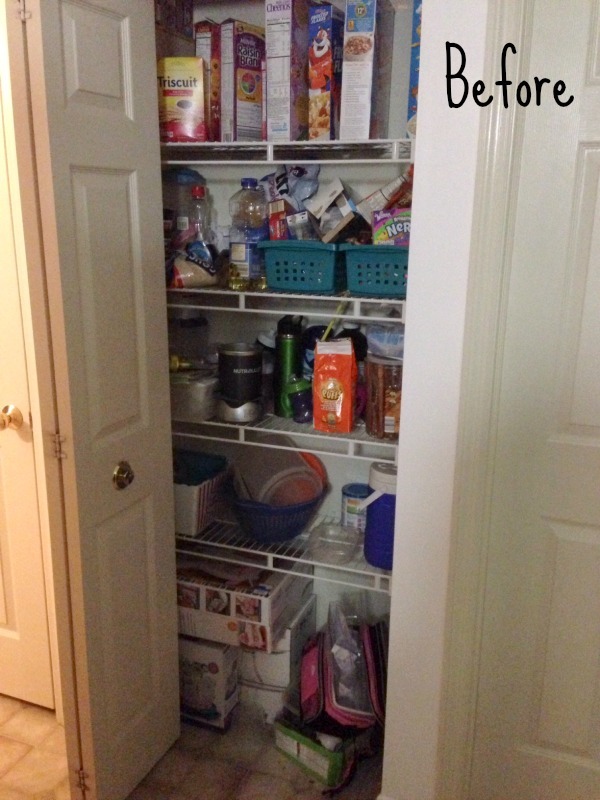 Ahh don’t you just love a clean and organized pantry? I just did the same thing recently and it makes cooking and looking for items SO much easier. Love your tips! I so need to do this!! Hopefully this will be the motivation I need to actually do it.